How much does it cost to hire an experienced commercial litigation attorney such as Bill Voss and The Voss Law Firm? The cost of commercial litigation can vary greatly and depends on the complexity of the dispute, the willingness of the parties to negotiate, and the type of fee agreement you establish with your attorney. Commercial litigation attorneys usually bill clients in one of two ways: hourly, or on a contingency basis. In an hourly arrangement, you can expect to pay at least $250/hour, and possibly up to $500 per hour; your case may require 20 hours or 200 hours. For example, if your lawyer charges $250/hour and your case goes through to trial, it may cost you $60k-$80k. In a contingency arrangement, you only pay your lawyer if you win. The lawyer gets an agreed-upon percentage, which in most cases is at least 1/3 of what is recovered (either in court or in a settlement). For example, if you think your case is worth $600k, your attorney would get $200k. You also may have to pay fees for experts, court filings, court reporters, and other costs. Remember, the costs in lawsuit vary depending on the facts of your case and the law firm you hire. 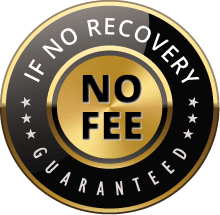 The Voss Law Firm handles all Commercial Litigation cases on a contingency-fee based arrangement. The percentage depends on the complexity of the case. Contact the experienced commercial litigation attorney Bill Voss for a free confidential consultation to discuss a fee arrangement and your case. Time limits apply in most situations, so it is extremely important to see an attorney as soon as you think you have a case. A time limit on bringing a lawsuit is called a statute of limitations. These time limits are strict, and if you don't file suit before the deadline, you are forever barred from doing so. Different disputes have different time limits. For example, if you are suing over a contract, you may have up to 4 years; if you are suing a business because you were injured by one of their products, you may have only two years. Again, consult with a lawyer as soon as possible so that you don't miss your only opportunity. If you have any other questions or would like our help please contact experienced commercial litigation lawyer Bill Voss by filling out our simple contact form HERE.